The facial appearance is the result of the size and position of its various bones and how they fit together and the investing soft tissues. The mandible plays a special role in this appearance. It is the only moving part of the facial skeleton and not only of special importance for chewing and speech, but also in the aesthetic appreciation of the face and its expressiveness. Its form in its resting position as well as in its movement is very important in its assessment. The size and position of the maxilla is also very important from the aesthetic point of view as well as function. 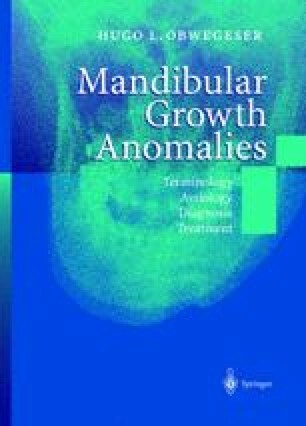 The growth of the mandible and in particular its growth and developmental anomalies can influence the maxilla in its development and when abnormal can have a very negative influence on chewing and speech function.